Finance jobs in the retail market offer a fast moving and ever expanding business environment. There are some financially rewarding career opportunities in this sector, and the chance to work abroad with the larger retail companies. There are also many opportunities for graduates within this sector via fast track schemes and in house training. The supermarket giants have changed the face of the retail sector. 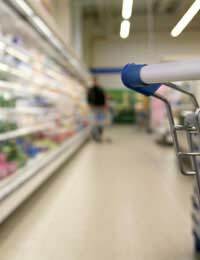 No longer content with simply selling grocery products these retailers are continually expanding their range of consumer goods. They now offer a range of financial services including mortgages, pensions, insurance cover, and personal loans, usually in conjunction with retail banks. Away from the actual consumer products side there are of course many financial jobs available including accountants, financial planning analysts, audits assistants, and retail finance analysts. Retail finance jobs are well known for their rapid career progression opportunities and graduates can excel in this business sector. The major retail companies have some of the best graduate schemes available. Competition for places on the graduate schemes is fierce due to the career opportunities, excellent in house training and the high salaries. Required qualifications will usually be a 2:1 degree within any academic field. Required skills will be excellent numerical and analytical skills and good communication skills. Graduate programmes will usually last for around a year and there will be work placements across a variety of business areas. The major players in the retail sector are well known for their excellent salaries and benefits. Starting salaries for graduates are usually around the £25,000 mark and there will usually be performance related bonuses. Once training has been completed salaries can rise rapidly depending on the finance job. Major companies will give employees stock options, and discounts are available on a variety of goods and financial products. Some retail employers offer discounted staff housing, company cars, pension schemes, and private medical cover. The major retailers are known to invest time and money in their employees, especially where professional finance qualifications are concerned. Some retailers offer in house vocational qualification courses tailored specifically to the employee’s job. There are a huge number of financial qualifications available to aid career progression. Studying for professional qualifications such as ATTs and CIMAs is highly encouraged. Employment within the retail sector will bring opportunities to work abroad. Many of the large retail companies are global and have branches and offices in countries around the world. There is a very real opportunity for qualified professionals to be seconded to other offices for a period of time. This will allow employees to obtain a broader range of skills and to understand the workings of an international company. If working abroad is important then it will be worthwhile applying to companies that have other branches based in Europe and beyond. Many of the major retail companies will advertise their vacancies on their own websites and in local and national newspapers. Employment and recruitment agencies are also a good way of finding finance jobs in this sector, at entry level and above. Graduate fairs are also an ideal way of gaining information from professionals already working within this industry. Obtaining as much information and advice as possible will help graduates understand the exact requirements and skills that retail employers are looking out for. The retail industry is a huge market and employs thousands of finance professionals. There is real opportunity to branch out into different business areas once qualified. Career progression can be rapid for talented and hard working employees within this business sector. Senior level employees can work long hours but the financial rewards and benefits will reflect the hard work.